I just updated noesis and realized there's a plugin for it. I've found a couple 20.6.5.0 and 20.6.0.1 models that aren't supported. I'm looking for nif files from various versions of the gamebryo engine. If anyone has any games with .nif files, send them to me. NetImmerse File Format are fine too. I think they are older before they renamed it. It probably doesn't support that model file, since there are lots of versions of unity and some versions change the format. That will work for now. Still would like to know how the format is stored and how it's different from a regular DDS file. There are different pixel formats for .tid, but these should be similar to DDS? 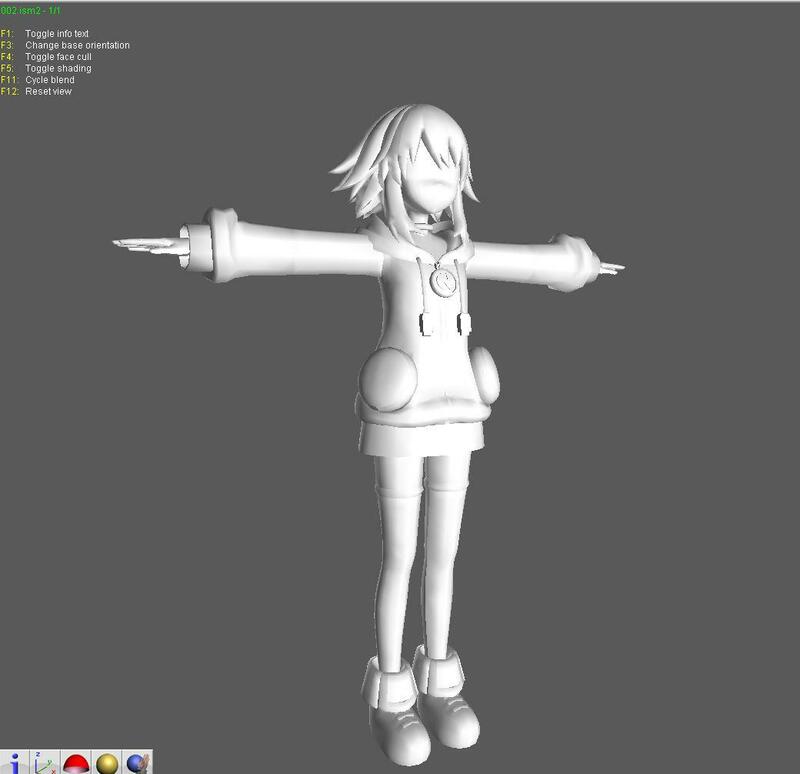 MSH importer supports characters as well but doesn't load skeleton. You can try this on the decompressed archives. It sounds like it should load models properly. If you have samples, please share. If you're concerned about the legality of reverse engineering and using copyright material in your own projects then you probably shouldn't be doing it. Here's a texture from Unity. It's 1024x1024 in width/height, and stores pixel data in 524288 bytes. Can anyone figure out how the data is stored? 1024x1024 = 1048576. Divide by 2 gets you 524288.